Mouthguards are an essential part of preventing sports injuries and should be used for all sports where physical contact with the mouth is possible. The obvious sports for mouthguard protection are GAA, Rugby, Hockey and Boxing but other sports such as Basketball, Football, and Horse Riding etc. can be equally damaging. A proper mouthguard should be thick enough to protect and very well adapted to the teeth with good suction and should be changed as often as necessary as the child’s mouth develops. Dental injuries are especially common in children. A quarter of all dental injuries in children occur during physical training or sporting activities. Collisions with opponents during contact sports are the most common cause, but direct blows from equipment such as hockey sticks or cricket balls may be to blame. Fracture of the crown of the tooth affecting the enamel only. 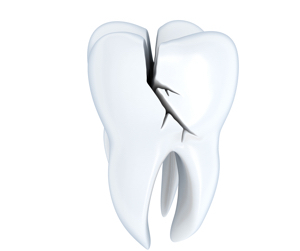 Fracture of the crown of the tooth affecting both enamel and dentine. Fracture of the crown of the tooth with exposed pulp. Injury of the attachment of the tooth In the jaw. Injury of the root of the tooth. Combination of fracture of crown and root. The following injuries require immediate management by a dentist. The outcome worsens with every hour’s delay. A tooth that is knocked out. A tooth that is loose and bleeding. Keep any tooth that has been knocked out as it can sometimes be replaced successfully. Do not touch the root of the tooth. Hold it by the crown (white part). Briefly (10 seconds) wash the tooth in milk, saline or cold runninhg water if dirty. 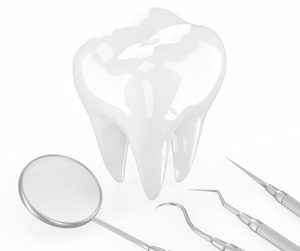 If the tooth cannot be replanted during the journey to the dentist, the tooth should be kept moist in cold milk, under the tongue or in a ‘saliva-soaked’ handkerchief.